Acute renal failure is also known as acute kidney failure. Affected dogs and cats require prompt and aggressive treatment to increase their chance of survival. Left untreated, kidney failure can be fatal. 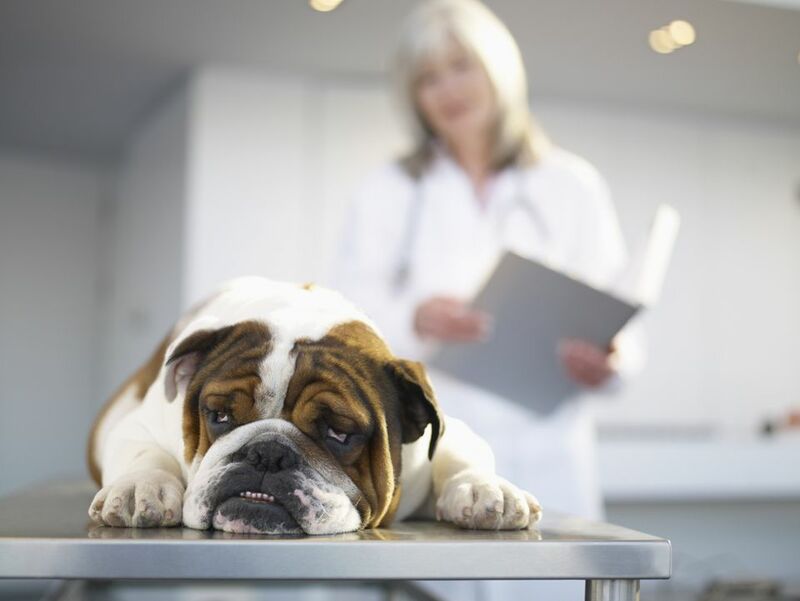 If there is an underlying cause of the dog or cat's renal failure which is treatable, it should be treated and, if possible, eliminated as soon as possible. Fluid therapy is the cornerstone of treatment for dogs and cats suffering from acute renal failure. In most cases, intravenous administration of fluids will be the most effective means of delivering the needed fluids. Fluid therapy needs to address several issues in dogs and cats with kidney failure. Fluid therapy must correct dehydration. The volume of fluids needed to correct dehydration will vary depending on the severity of the dehydration and the body weight of the dog or cat. Once dehydration has been corrected, ongoing fluid losses must be estimated and replaced through the administration of the proper volume of fluids. Determination of the ongoing fluid loss must take into account factors such as how much urine is being produced and how much fluid is being lost through vomiting or diarrhea. Every animal has an ongoing fluid maintenance value that is a result of the normal day-to-day functions of the body. Fluid therapy must replace this maintenance fluid level until the dog or cat is able to take in the appropriate volume of fluids voluntarily. Fluid therapy should continue until the dog or cat is able to maintain a normal hydration status on his own, without the aid of fluid therapy. In most cases, this will mean that the pet must be eating and drinking voluntarily without persistent vomiting. If abnormally low volumes of urine are being produced and the dog or cat is well hydrated, a diuretic such as mannitol or furosemide may need to be considered to encourage adequate urine production. It is important that the pet is hydrated before the diuretic is administered. Conditions such as a ruptured bladder that may result in inadequate urine production should be ruled out also. If potassium values are abnormal and do not resolve with the administration of fluid therapy, they may need to be addressed. Low potassium values may require potassium supplementation through the fluids. High potassium blood levels may be handled with the administration of insulin, sodium bicarbonate or calcium. Sodium bicarbonate administration may be necessary to resolve severe cases of acidosis that do not resolve with fluid therapy. Dogs and cats with acute kidney failure also tend to be nauseous and may vomit. In addition, ulceration and inflammation of the stomach (gastric ulceration) is of concern. Medications such as maropitant, metoclopramide or chlorpromazine can help with the nausea and vomiting. Cimetidine, ranitidine, famotidine or omeprazole can all be used to help prevent gastric ulceration. Sucrulfate is sometimes used as well to protect the lining of the stomach. In cases of severe acute kidney failure, mechanical dialysis or peritoneal dialysis may be needed to filter the waste products out of the blood. It may be helpful in some cases, such as in cases of antifreeze poisoning in dogs and cats. Proper nutrition must be continued for all dogs and cats recovering from acute kidney failure. Adequate nutrition is essential for the healing process to continue. Blood pressure also must be monitored. Hypertension (elevated blood pressure) can be problematic in cases of kidney failure in the dog and cat and may need to be treated.